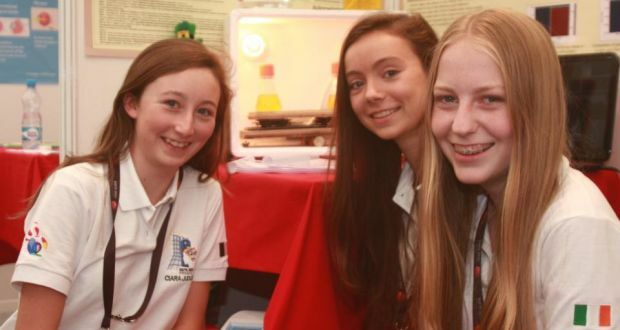 ReelLife Science are delighted to announce that our Special Guest Judges for 2013 are the three Young Scientists from Kinsale in Co. Cork, who won first prize at this year’s BT Young Scientist and Technology Exhibition and then went on to scoop the top Biology prize at the European Union Contest for Young Scientists in Prague two weeks ago. The three Young Scientists proved that the use of Nitrogen-fixing bacteria can significantly accelerate barley seed germination rates, which has huge potential to improve the yield of valuable crops. The results are based on the analysis of the performance of over 5,290 seed samples in 105 experimental runs over a 6 month period. Emer and Sophie appeared on yesterday’s RTE “elev8” programme speaking about their award-winning research (skip to 15 mins). We are honoured to have the three girls as part of our team, along with our other Expert Judges, Professor Andrea Brand of the Gurdon Institute in Cambridge and Professor Rhodri Ceredig of the Regenerative Medicine Institute (REMEDI) in NUI Galway. Prof. Brand’s research focuses on understanding how stem cells specialise to become part of our nervous systems, e.g. neurons, with the goal of repairing or regenerating damaged neurons in the brain or spinal cord. The Gurdon Institute was named after Prof. John Gurdon, who shared last year’s Nobel Prize for Physiology or Medicine “for the discovery that mature cells can be reprogrammed to become pluripotent.” This work has led to the development of the field of iPSCs, or Induced Pluripotent Stem Cells, where non-stem cells can be reprogrammed to become stem cells, and in turn, different types of cells from around the body. Prof. Rhodri Ceredig also works with Stem Cells, and is particularly interested in their role in the Immune System, work which is carried out in the Regenerative Medicine Institute (REMEDI) in NUI Galway. REMEDI’s main focus is using Stem Cells to promote organ and tissue repair and regeneration, in the areas of cardiovascular disease, diabetes mellitus and osteoarthritis. 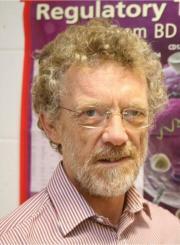 Prof. Ceredig has a particular interest in Flow Cytometry, which is a powerful technique used to count and separate cells into different populations. Check out the Irish Cytometry Society for more information. We are delighted to have these eminent scientists as part of our ReelLife Science Team!